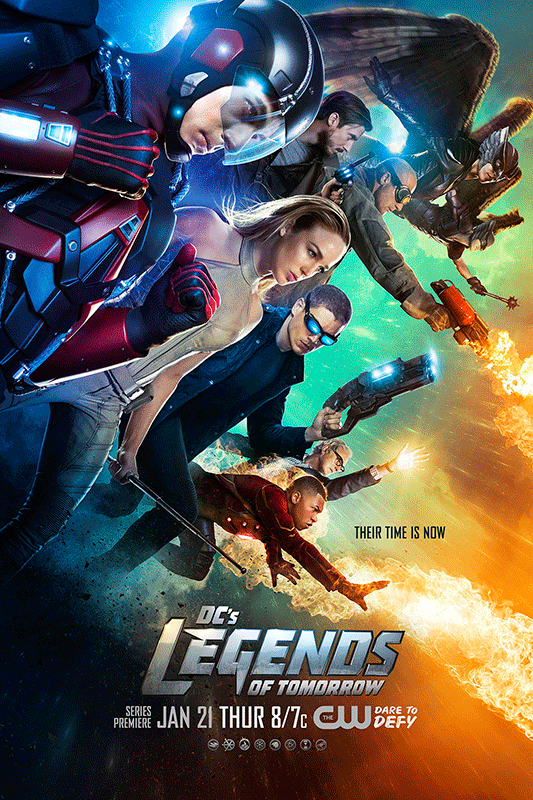 Fantasy heroes and villains are all the rage at the moment, and with the release of a new cool poster (above) for DC’s Legends of Tomorrow, it’s easy to see why. The CW series, a spin-off of the Arrow/The Flash universe, stars Brandon Routh (Ray Palmer/The Atom), Caity Lotz (Sara Lance/White Canary), Wentworth Miller (Leonard Snart/Captain Cold), Dominic Purcell (Mick Rory, Heat Wave), Victor Garber (Martin Stein/Firestorm), Franz Drameh (Jay Jackson/Firestorm), Ciara Renée (Kendra Saunders/Hawkgirl), and Falk Hentschel (Carter Hall/Hawkman). Former Doctor Who star Arthur Darvill brings the group together, as time traveller Rip Hunter to defeat the threat of the immortal Vandal Savage (Casper Crump). Legends of Tomorrow will debut in the US on The CW channel on Thursday, 21st January at 8 p.m. Sky 1 has recently acquired the rights to air the series in the UK, with the airdate yet to be confirmed.